Update: Before the official opening, the British Ambassador to Norway, Jane Owen, visited the exhibition. A picture of the ambassador with the three gallerists has been posted on the Stolper + Friends Facebook page. And a 4-minute video interview with Magne from the opening can be seen at StyleTV.no. 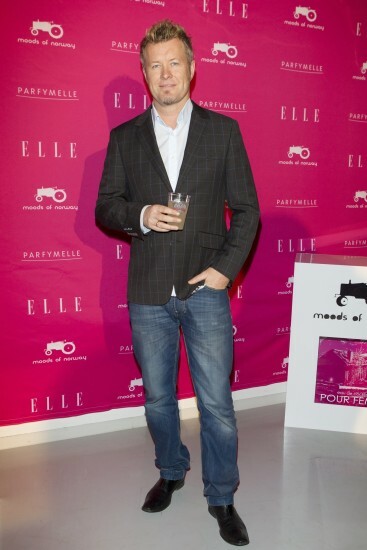 Update II: Magne attended the launch party for a new Moods of Norway perfume in Oslo a few days later, on November 29th. See a picture from Dagbladet here. 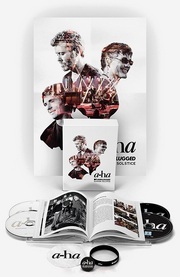 The new documentary Dance For Daddy – a portrait of Magne Furuholmen aired in a special edition of NRK2’s culture programme Nasjonalgalleriet tonight. The documentary, which was made by Charlotte Thiis-Evensen, follows Magne’s work on the Futura Plus exhibition earlier this year and tells the story of how his father’s tragic death in a plane crash has influenced a lot of his art. It can be seen on NRK’s web-TV here, where it will be available for one month. Futura Plus ended up being cancelled, but Magne is opening a new exhibition at Stolper + Friends in Oslo on November 26th called ECHO. The gallery said in a Twitter message to expect “stunning new works on canvas and paper”. ECHO will be on display until January 15th 2012. The new gallery Stolper + Friends, which is owned by Paul Stolper, Magne Furuholmen and Hugo Opdal, opens at Tjuvholmen in Oslo tonight with the exhibition “The Souls” by Damien Hirst. “The reason why I wanted to establish the gallery here, is that Tjuvholmen is a new district still in the making and in constant development. And with the Astrup Fearnley museum opening [next year] and the other galleries already here, I think we’ll get a nice dynamic which will attract many art fans to the area”, Magne told Aftenposten in an interview last week. 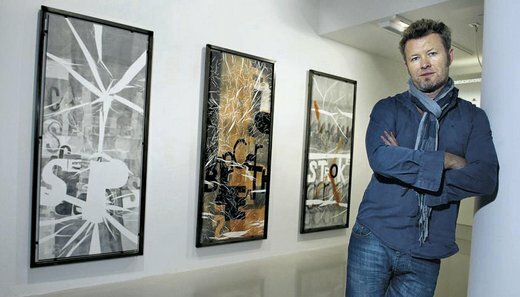 Magne’s own exhibition “Futura Plus”, which was supposed to open the gallery but was cancelled after the July 22nd tragedy, will instead be shown in Sweden sometime in November, he tells newspaper Dagsavisen today. At Stolper + Friends, “The Souls” is on display until October 2nd and will be followed by an exhibition of sculptures. More pictures from inside the gallery can be seen here. 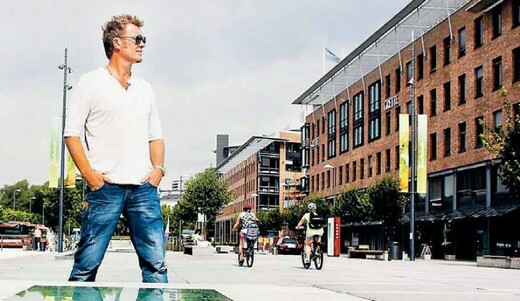 Magne explains the cancellation of his “Futura Plus” exhibition in today’s VG. For “Futura Plus”, Magne had once again been collecting used bed sheets from various hospitals, to use as canvases. Magne has created the new gallery Stolper + Friends together with his UK gallerist Paul Stolper and the Norwegian gallerist Hugo Opdal, who lives at Flø. The gallery’s opening exhibition will now be “The Souls” by Damien Hirst instead. “The original plan was to show new works by Damien Hirst closer to Christmas, but now we had to do a quick turnaround, and it’s very fitting to show the beautiful butterfly-series “The Souls”, made in collaboration with Paul Stolper, where the butterfly symbolises, among other things, the journey and rebirth of the soul. It’s a much more appropriate association right now”, Magne says. 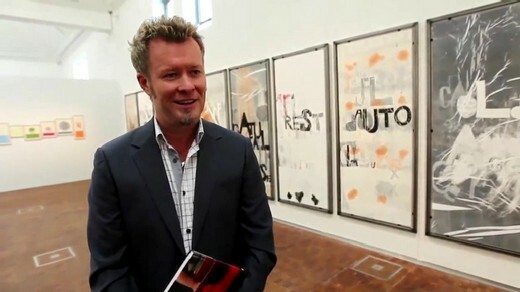 “In light of the recent tragic events in Norway, Magne Furuholmen has decided to cancel his upcoming exhibition ‘Futura Plus’ due to the potentially upsetting nature of the works. 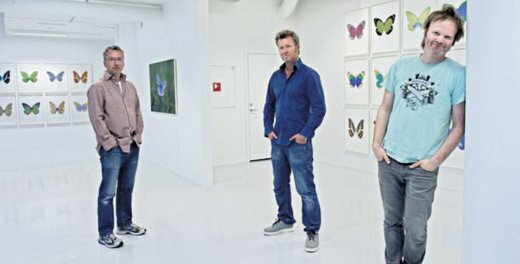 The gallery’s new website states that Magne will be exhibiting later this year instead. Apparatjik are also planning something at Stolper + Friends later on. Stolper + Friends is also on Twitter and Facebook.